It is well understood that some (perhaps even many) men diagnosed with low-risk disease have difficulty accepting active monitoring of any type as an effective and safe management strategy for deferring immediate, unnecessary treatment — and perhaps being able to avoid treatment at all. What is less well understood is exactly what the key factors are that may make it more difficult for men to accept active surveillance as an appropriate management strategy in their individual cases. Bellardita et al. have used data from the Prostate Cancer Research International Active Surveillance (PRIAS) quality of life study to try and identify factors associated with low quality of life during active surveillance that may then lead to distress at the idea of living with “untreated” prostate cancer. Their paper is based on data from 103 men participating in the PRIAS study and enrolled between September 2007 and March 2012. These patients’ mental health, along with demographic, clinical, and decisional data, were assessed at entrance onto the active surveillance protocol. Their health-related QoL (HRQoL) mental adjustment to cancer outcomes were re-assessed after 10 months on active surveillance. The average (mean) age of the study participants was 67 ± 7 years. Lack of a partner (odds ratio [OR] = 0.08; p = 0.009) and impaired mental health (OR = 1.2, p = 0.1) were associated with low HRQoL (p = 0.006). Poor mental adjustment to living with cancer (p = 0.047) could be predicted by recent diagnosis (OR = 3.3; p = 0.072). Poor overall (global) QoL (p = 0.02) was predicted by impaired mental health (OR = 1.16; p = 0.070) and time from diagnosis to enrollment in the active surveillance protocol of < 5 months (OR = 5.52; p = 0.009). Influence of different physicians on the choice of active surveillance (OR = 0.17; p = 0.044), presence of a partner (OR = 0.22; p = 0.065), and diagnostic biopsy with > 18 core specimens (OR = 0.89; p = 0.029) were all predictors of better QoL. Limitations of this study were the small sample size and the lack of a control group. Without wish to insult anyone, it really does seem extraordinarily obvious to The “New” Prostate Cancer InfoLink that men diagnosed with low-risk prostate cancer and advised that active surveillance is a highly appropriate management strategy are highly likely to need counseling and support during the early stages of this process (as may their spouses and other family members too). One of the current problems with uptake of active surveillance as a management strategy (at least here in the USA) is that physicians may be paid thousands of dollars in the short-term to carry out a radical prostatectomy or give radiation treatment. By comparison, they will receive almost no compensation at all for spending sufficient time with a new patient (and that patient’s spouse/partner if necessary) to reassure him that active monitoring is a completely valid strategy in his case. The last paragraph tells it all. I guess it’s a “compensation” thing, as you suggest. For me, it was difficult to even get an appointment with urologists. Can you just imagine all of the urologists in the US keeping on top of their patients with active surveillance monthly? This was never an issue for me, so I never considered active surveillance. I think we understand that it takes quite a while for a patient to get educated enough to truly feel confident that they are making a good decision (not necessarily right or wrong). I doubt most people can (or should) rely on their physicians to provide that level of detail. Sites like this one and support groups can really help people make those difficult choices and help them understand their choices. Keep up the good work, you are making a difference. It may be necessary to act monthly initially to make an accurate diagnosis, but if the cancer turns out to be inactive enough that active surveillance and not treatment is appropriate, then future action should only be necessary less frequently. Ideally, once diagnosis of low grade, slow-growing prostate cancer is understood by the physician and the patient, active surveillance should be less frequent. That wasn’t a choice I could make. But one doesn’t have to talk with too many patients to find stories where the PSA spikes … yet is still relatively low in number … with more aggressive cancer. I personally have friends who waited too long and the cancer left the prostate. That is the exact reason that so many prostate cancer patients, and their wives, freak out when the big C appears. They do not want to screw this up and have other issues. 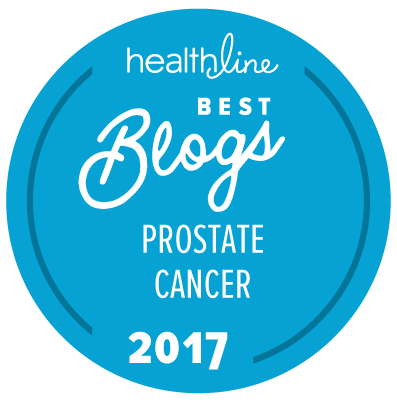 What I find most compelling is that everyone seems to have rational advice for prostate cancer patients … but when it is you that has said cancer … all of the rules seem to change. People who offer “rational” advice to newly diagnosed prostate cancer patients but don’t follow their own advice when they are diagnosed themselves are not, in fact, either “rational” or probably as well informed as they would like to think they are. Why they are offering ill-informed advice is beyond me. I can assure you that at 65 years of age, with a history of heart disease but otherwise in well above average health for my age, if I was diagnosed with D’Amico low volume, low-risk prostate cancer tomorrow (clinical stage of T2a or lower; PSA < 10 ng/ml; Gleason score of 6 or less), there is absolutely no way I would do anything other than monitor it for as long as I possibly could. No surgery; no radiation therapy; no HIFU; no nothing! In saying this, I should point out that three of my four grandparents lived into their 90s, as did my mother (despite a diagnosis of localized breast cancer in her 60s that she only treated with tamoxifen). My father died at 87 after problems following two hip replacements. I therefore think that I have a reasonable expectation of about a 25-year life expectancy (so long as I avoid being hit by the proverbial bus). Try and score below 80 on your “killer course”!